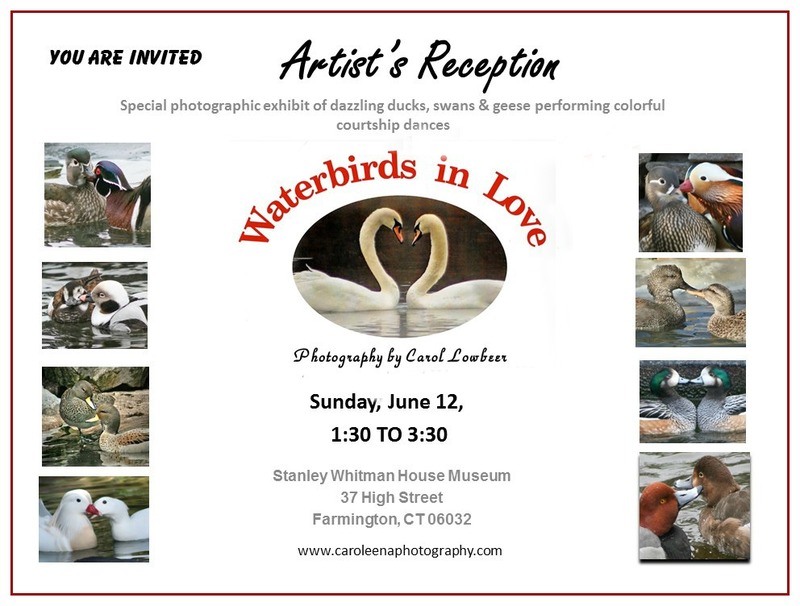 Peaches and Paprika: Carol's Waterbirds in Love Exhibit - We Helped! The exhibit is in a cute little historical house. There's a slideshow which will run during the exhibit and a reception June 12. The large screen shows a part of the slideshow. I, Peaches, stood guard over the pictures night and day but more on that tomorrow! Mess with her pictures and you're toast! Such lovely photos, and how exciting that they're being exhibited! I'm sure your mom couldn't have done it without you, Peaches and Paprika. Good job! What fabulous photos! We can't wait to hear more about the show. Lovely photos! Good luck with the exhibit! That was so sweet of you to help your Mom. I can't wait to see her exhibit. How wonderful!! We wish we could go to the exhibit! Your mom is so talented! We wish her the best of luck with the exhibit. Peaches, you sure a keeping a close eye on those photos. But don't get too close! We can't wait to hear more about the exhibit. You are a good snoopervisor. Hope the exhibit is a success.